Catechumens - USA: Archbishop Carlo Maria Viganò: "With deep sadness and disappointment I have received from the hands of the Most Eminent Cardinal Secretary of State the communication of the decision of Your Holiness to appoint me Apostolic Nuncio in the United States of America"
Archbishop Carlo Maria Viganò: "With deep sadness and disappointment I have received from the hands of the Most Eminent Cardinal Secretary of State the communication of the decision of Your Holiness to appoint me Apostolic Nuncio in the United States of America"
VATICAN CITY — Guests at the going-away party for Carlo Maria Viganò couldn’t understand why the archbishop looked so forlorn. Pope Benedict XVI had appointed Viganò ambassador to the United States, a plum post where he would settle into a stately mansion on Massachusetts Avenue, across the street from the vice president’s residence. With deep sadness and disappointment I have received from the hands of the Most Eminent Cardinal Secretary of State the communication of the decision of Your Holiness to appoint me Apostolic Nuncio in the United States of America. In other circumstances, such an appointment would be a reason for joy and a sign of great esteem and trust in my regard, but in the present context, it will be perceived by all as a verdict of condemnation of my work, and therefore as a punishment. 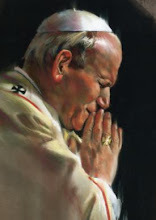 In spite of the great damage to my reputation and the negative repercussions that this provision will provoke, my response cannot be anything but full adherence to the will of the pope, as I have always done during my other than brief service to the Holy See. In the face of this harsh trial as well, I renew with profound faith my absolute obedience to the Vicar of Christ. The meeting granted to me by Your Holiness last April 4 brought me great comfort, as did the subsequent news that the pope had instituted a special Committee "super partes," charged with clarifying the delicate matter in which I have been involved; and thus it seemed reasonable to me to hope that any provision in my regard would be taken only at the conclusion of the work of the aforementioned Committee, in part so that punishment would not seem to be given to the one who, out of the duty of his office, had brought to the attention of his immediate superior, Cardinal Giovanni Lajolo, gravely deplorable actions and behaviors that, moreover, His Excellency Bishop Giorgio Corbellini, deputy secretary general, had in vain repeatedly reported and documented for the same superior – long before my arrival at the governorate – and that, in the absence of action on the part of the same cardinal, he had felt the need to report also to the secretariat of state. And I was even more saddened to learn, following the audience with the Most Eminent Cardinal Secretary of State last July 2, that Your Holiness agrees with the judgment of my actions in the terms in which this was previewed last June 26 in a blog post by Andrea Tornielli, namely that I am said to be guilty of having created a negative climate at the Governorate, making relations more and more difficult between the secretary general and the heads of the offices, so much so as to make my transfer necessary. In this regard, I would like to assure Your Holiness that this does not at all correspond to the truth. The other cardinal members of the Pontifical Committee of the Governorate, who know very well how I have acted over the past two years, could inform you with greater objectivity, not having a stake in this matter, and easily prove how far from the truth is the information about me that has been reported to you, which has been the motive for your decision in my regard. I am also grieved by the fact that, unfortunately having to care personally for an older brother who is a priest, seriously affected by a stroke that is gradually debilitating him mentally as well, I should have to leave right now, when I had expected to be able to resolve in a few months this family problem that so greatly worries me. Your Holiness, for the reasons presented above, I turn to you with trust to ask you, for the sake of my reputation, to postpone for the necessary time the implementation of the decision you have already made, which at this moment would appear as an unjust sentence of condemnation in my regard, based on behaviors that have been falsely attributed to me, and to entrust the task of exploring the real situation of this matter, which also sees two Most Eminent Cardinals involved, to a truly independent body, for example the Apostolic Signatura. This would allow my transfer to be perceived as a normal replacement, and would also permit me to find a solution for my brother priest more easily. If Your Holiness would grant me this, I would ardently desire, in honor of the truth, to be able to provide you personally with the elements necessary to clarify this delicate matter, in which the Holy Father has certainly been kept in the dark. There was no such confusion within Vatican walls. Benedict had installed Viganò to enact a series of reforms within the Vatican. But some of Rome’s highest-ranking cardinals undercut the efforts and hastened Viganò’s exile to the United States. Viganò’s plight and other unflattering machinations would soon become public in an unprecedented leak of the pontiff’s personal correspondence. Much of the media — and the Vatican — focused on the source of the shocking security breach. Largely lost were the revelations contained in the letters themselves — tales of rivalry and betrayal, and allegations of corruption and systemic dysfunction that infused the inner workings of the Holy See and the eight-year papacy of Benedict XVI. Last week, he announced that he will become the first pope in nearly 600 years to resign. The next pope may bring with him an invigorating connection to the Southern Hemisphere, a media magnetism or better leadership skills than the shy and cerebral Benedict. But whoever he may be, the 266th pope will inherit a gerontocracy obsessed with turf and Italian politics, uninterested in basic management practices and hostile to reforms. It showed how Benedict, a weak manager who may most be remembered for the way in which he left office, was no match for a culture that rejected even a modicum of transparency and preferred a damage-control campaign that diverted attention from the institution’s fundamental problems. Interviews in Rome with dozens of church officials, Vatican insiders and foreign government officials close to the church, many of whom spoke on the condition of anonymity for fear of retribution, mapped out that hermetic universe. The leak came from within the pope’s inner sanctum. On most mornings, the pope’s butler, Paolo Gabriele, left his apartment, just inside the Vatican walls, before 7 a.m. He walked past the plumed Swiss Guards and into the Apostolic Palace, where he worked in the third-floor papal apartments. His black gelled hair, dark suits and fleshy cheeks became so familiar around the Vatican Gardens that clerics affectionately called him Paoletto. The official duties for the married father of three included laying out Benedict’s white vestments and red shoes, serving his decaf coffee and riding with the pontiff in the popemobile. Unofficial chores included absconding with copies of the pope’s personal correspondence, including letters from Viganò, whose grievances Gabriele found especially compelling. In another, he described more “situations of corruption” in which the same firms habitually won contracts at almost “double the cost” charged outside the Vatican. Viganò cited savings from cutting the amount spent on the annual Nativity scene in St. Peter’s Square from 550,000 euros in 2009 to 300,000 euros in 2010. The butler agreed and sought an unorthodox way to get the pope’s attention. Through intermediaries, Gabriele reached out to Gianluigi Nuzzi, an Italian investigative reporter. In clandestine coffee bar meetings, anonymous associates of Gabriele vetted Nuzzi, the journalist later wrote, and drove him around in circles to shake loose potential followers. When Nuzzi jumped through sufficient hoops, he met Gabriele in an empty apartment near the Vatican furnished with only a plastic chair. The two established secret Thursday meetings, and Gabriele left letters in drop boxes; Nuzzi sewed a computer thumb drive into his necktie. One day, the butler showed up to the rendezvous empty-handed, only to reveal 13 pages of documents taped to his back, under his jacket. Nuzzi, who referred to his secret source as “Maria,” used the material to write “His Holiness: The Secret Papers of Pope Benedict XVI,” a blockbuster book published last year. As the media hunted for moles, or “crows” as they are known in Italian, Gabriele’s office mate, Monsignor Georg Gaenswein — a former ski instructor and papal confidant known as Gorgeous George — cracked the case. 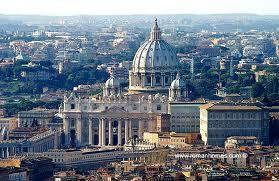 Vatican gendarmes found 82 boxes of documents in the butler’s apartment and arrested him. He was tried, convicted and jailed for several months before the pope personally pardoned him.